While doing some research on the Tunnel Depot in Port Huron recently, I found that it had been described more than once as Spanish Revival style. I found that to be very odd, and had doubts about another building description someone had shown me, so I decided to look into these things more (neither building is still standing, so one has to rely on whatever photos are available). Below is a photo of the Tunnel Depot, which is not a Spanish-based style. Figure 1. 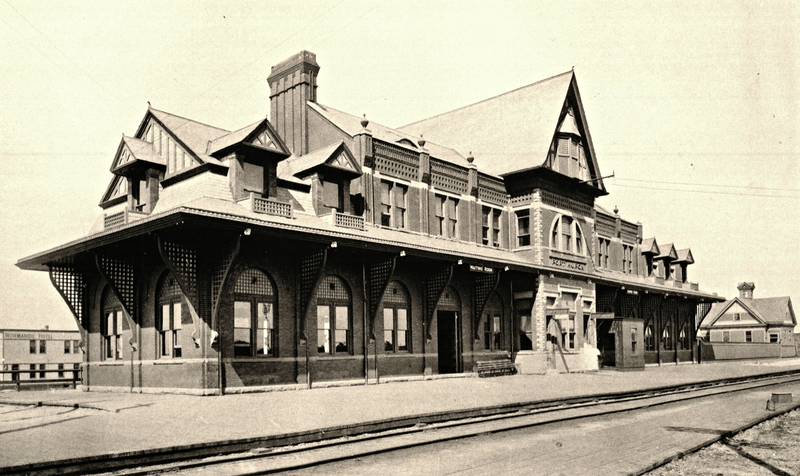 Grand Trunk RR Depot, commonly called The Tunnel Depot. 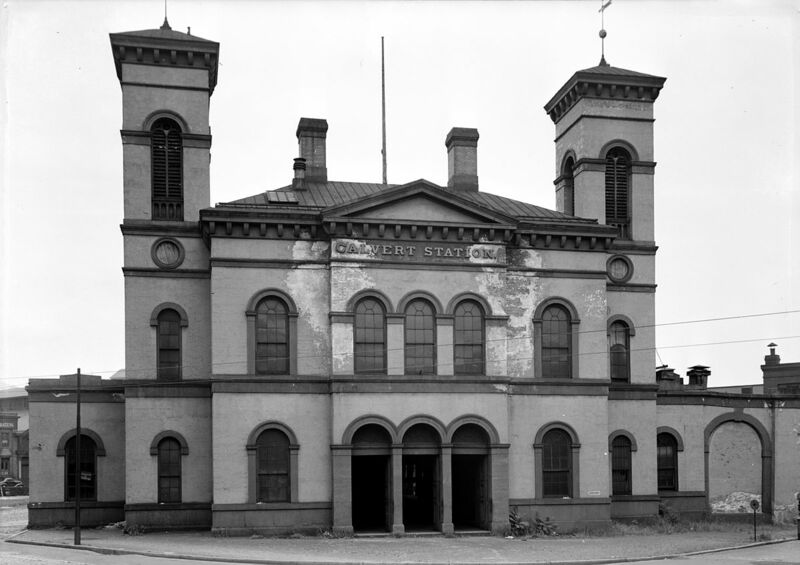 Opened in 1892 and demolished in 1975. It displays many Tudor style (1890-1940) elements, including the curves! This was a fine and detailed depot. Did “they” think it “Spanish” because it had curved windows and some stucco? Besides Mission (1890-1920) and Spanish Revival (1915-1940) styles having stucco walls, Tudor, Italian Renaissance, French Colonial, Modernistic, and International style buildings may also have walls of stucco. Curves, as in round arched windows, are common to many architectural styles of the last 100+ years, though arcades less so. Of course, Mission buildings usually have curvilinear gables (or roof parapets and dormers), making them distinct (although interestingly, Flemish gables can be very similar), whether they have any other curved elements or not (Figure 2; please find most of the figures after the body of text). Other styles of buildings that have curves (like towers or wall “corners”), which are not normally confused with “Spanish” are Queen Anne, Tudor, and Art Moderne, so I will not be addressing those styles further. Well, except that the Tunnel Depot, already pictured, appears to be Tudor or a Tudor with additional elements, and it was confused with Spanish Revival (an article from 1975 says “renaissance,” but that may have been in error since that style is centuries old). So besides Mission Revival (which is very rare in this area) and Spanish Colonial Revival (again, very rare), what building styles with round arches might be found in Port Huron and environs? The arch, of course, is Roman in origin (well, they invented the weight-bearing arch). And Rome is in Italy, so styles with arches tend to be Roman or Italian of some sort. The oldest style in the area that starts to get its curve on is Italian Villa (1837-1880), and there appear to be some homes of this style still standing in Port Huron. The example in Figure 5 has many round-top windows. Italianate, 1840-1885, soon followed (Second Empire, 1855-1885, buildings have perhaps even more curved elements), and examples are easily seen in Port Huron. Most curves are found in one or more floors of arched windows. Many Italianate buildings actually did not have that much in the way of curvature, but the two upper stories in the Port Huron example have two different types of curved windows (Figure 6). 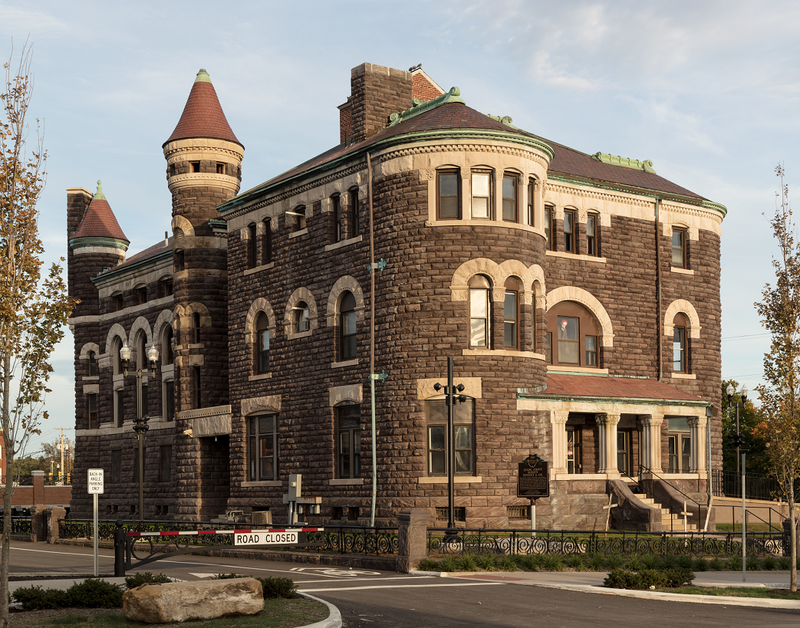 Romanesque Revival was early, from the 1840s to the 1870s, and evolved into other forms. However, being a favorite for churches and schools, the style was apparently carried on in these types of buildings much longer. 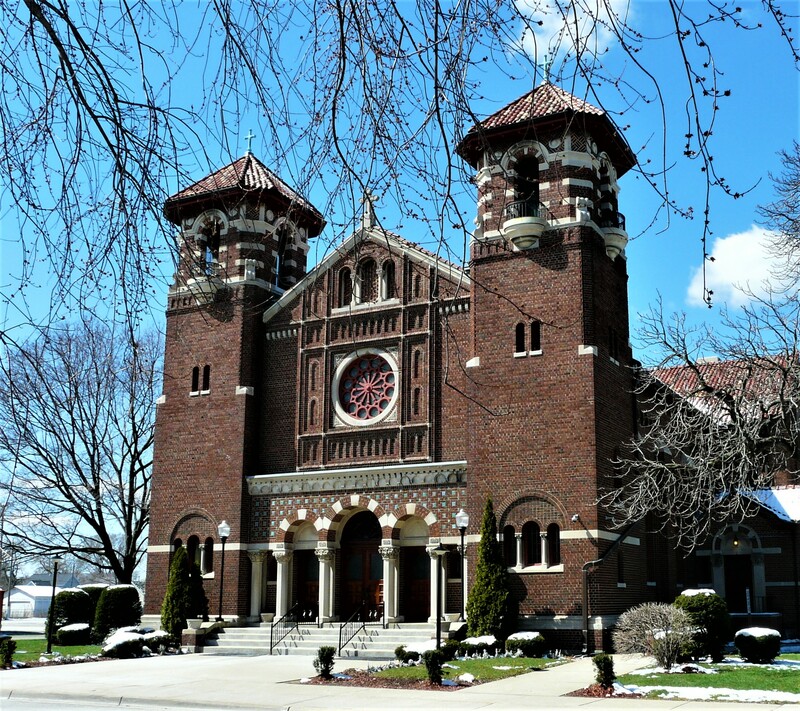 Arguably the most beautiful building still standing in Port Huron–Saint Joseph Catholic Church–has been described as Romanesque Revival (Buildings of Michigan 1993:353-354), although it was built 1922-23. Please see figure 7 for all the wonderful curves and other details. There are a very small number of Richardsonian Romanesque (~1877-1900) buildings in Port Huron, and arches are an identifying feature of this style (note the Roman reference right in the name). 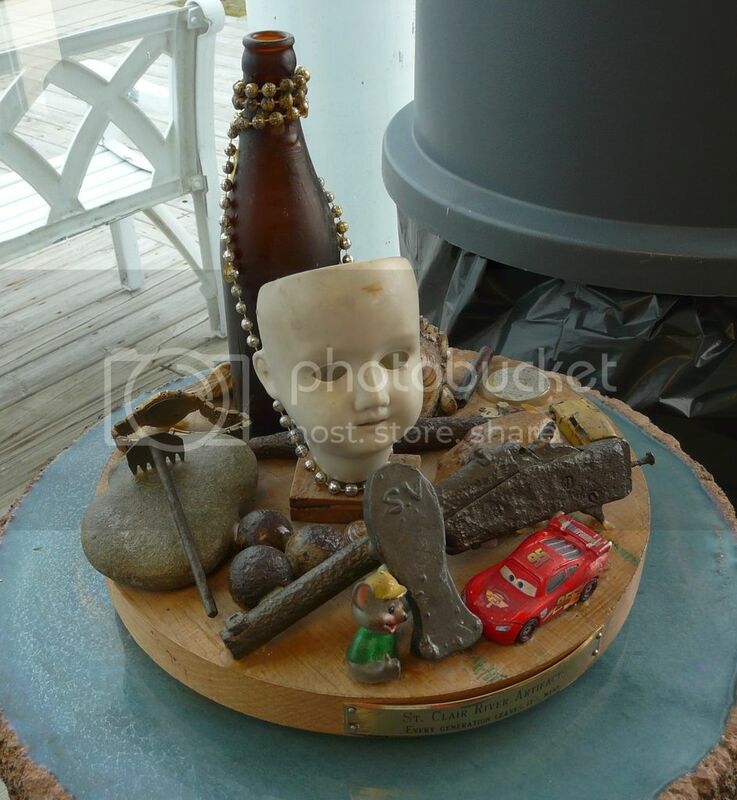 These relatively distinctive and heavy structures of stone are normally not confused with other styles (Figures 8 and 9). (Victorian Romanesque, 1870-1900, was even more curvy.) Buildings in the Italian Renaissance style, 1890-1935, may have lots of arched windows and an arcade (or they may not) (Figure 10). So if you see a building with a row of arched windows, or an arched opening or two (doorways and porticoes), or a row of arches that make up an arcade, what style might it be? 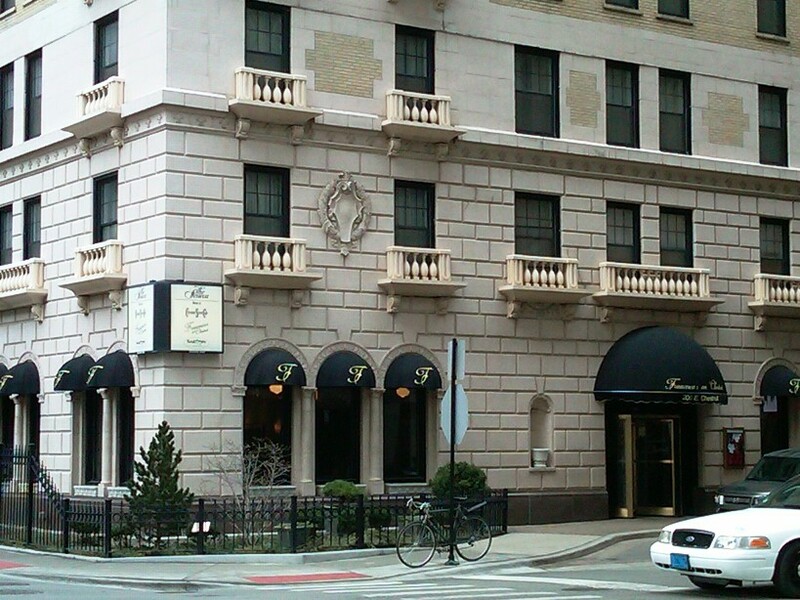 Something to consider is that it may just be a vernacular building—one designed and made by a local builder, not an architect—which contains certain style elements but is not an example of a certain architectural style in its entirety (the Harrington Hotel is one such example of mixed styles). It might be one of the styles included here, but then again many styles of architecture use arched windows. If you see a building with such windows and it doesn’t really look like any of the styles here, then it’s probably not a Spanish- or Italian-based style. Figure 2. Mission Style 1890-1920. 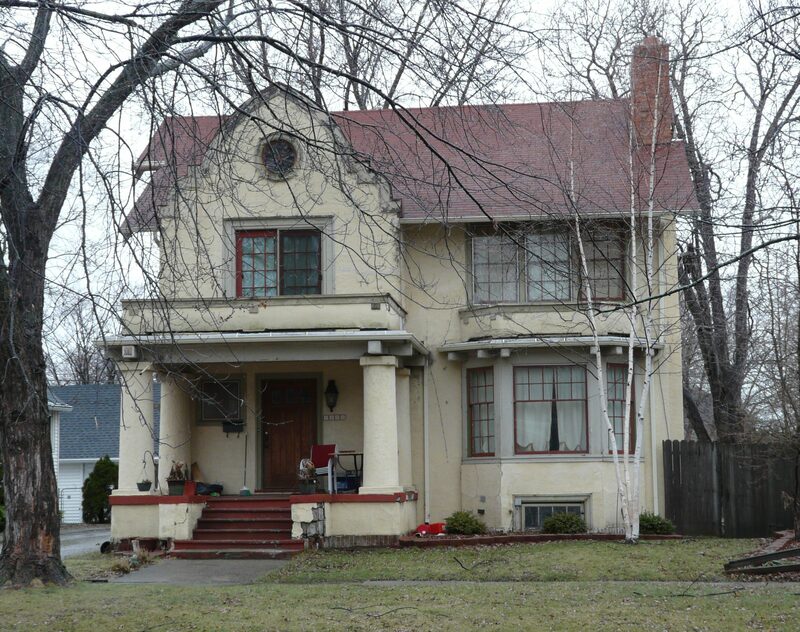 Mission style house in Port Huron, Michigan. The only one? Not sure yet. Note the curvilinear parapet and prominent porch—both typical of the Mission style. Mission style homes also tend to be more cubelike compared to the Spanish Revival’s longer forms. 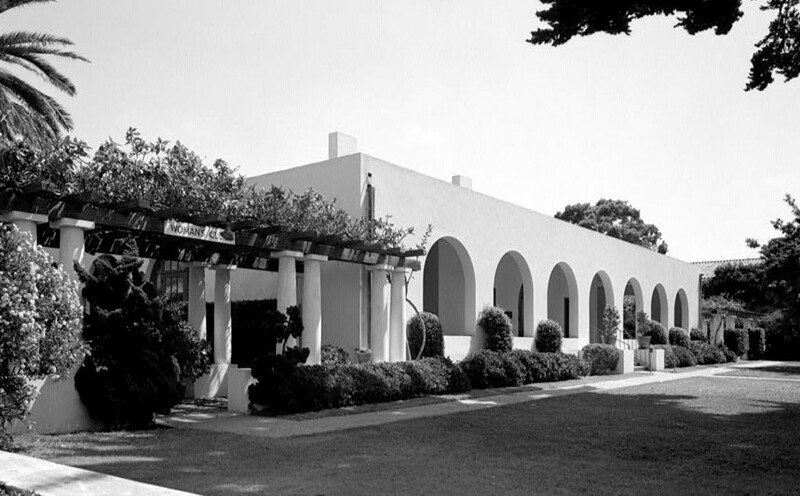 Note that Mission Style is generally older than Spanish Revival Style, and like other older styles may not have curved windows. Figure 3. Spanish Revival 1915-1940. Spanish (Colonial) Revival style house. I chose this example specifically to show the roof line, the square and rounded windows, and the distinctive spiraled columns around the door and between the windows. Mission and Spanish style buildings are rarely anything other than stuccoed. Figure 4. Streamlined Mission style building by Irving Gill, built 1913-14. 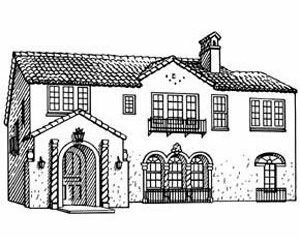 The La Jolla Women’s Club, California. Figure 5. Italian Villa Style 1837-1880. Calvert Station, Baltimore, in the Italian Villa style, was built in 1855. It is no longer standing. Unlike this example, homes in this style are usually asymmetrical. Note the classical roof line and all those round-top windows! Figure 7. St. Joseph Catholic Church, 1331 7th Street, Port Huron. Word is that the unique (for this area) ceramic roof will be replaced. Figure 8. Richardsonian Romanesque ~1877-1900. 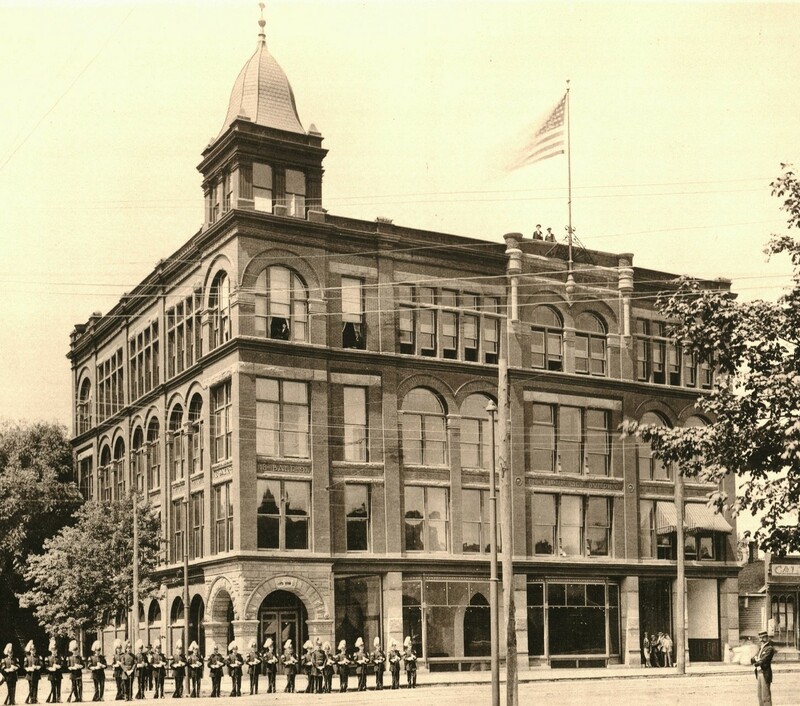 An example from Newark, Ohio, the old Sheriff’s quarters and jail built in 1889. Figure 9. Richardsonian Romanesque, a local example. It was not unusual for commercial buildings in this style to be primarily brick. 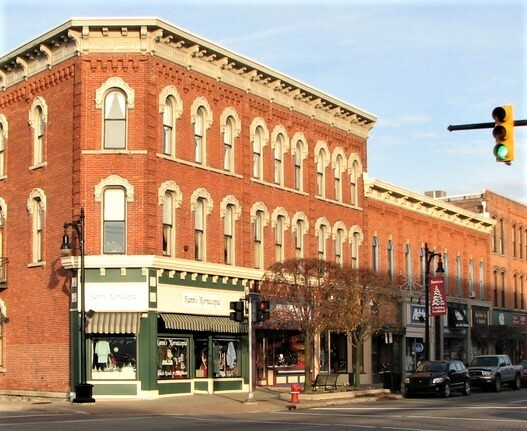 A Port Huron Commercial Block in the Richardson Romanesque style. This building had delightful organic detailing in the stone elements. It was called the Baer Block (after builder Charles Baer) and had a bear relief at the entrance. Built in 1891-92, it very very sadly and completely burned in 1922. Figure 10. Italian Renaissance Revival 1890-1935. Example in Chicago, from architecturestyles.wordpress.com. * The Gratiot Inn’s last summer season was in 1969, and new owners converted parts of the Inn into condominiums in 1970-1971. 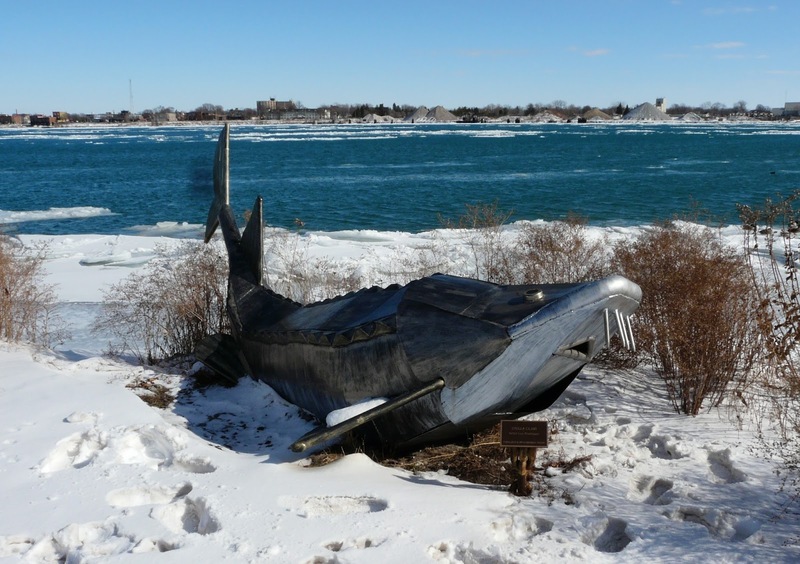 Source: various contemporary Times Herald articles. Also, many news articles quote people who say that the Gratiot Inn was built over the ashes of the Windermere Hotel, but that simply isn’t true. It doesn’t help at all that the condominiums were named Windermere for some strange reason. The Windermere was on a different property and burned in 1920, and the Gratiot Inn was opened in 1917. This post was expanded to include Romanesque Revival, and slightly edited, on October 20, 2017.